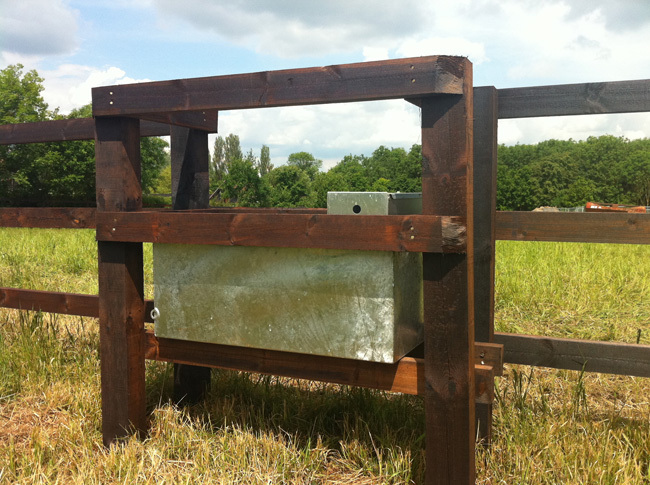 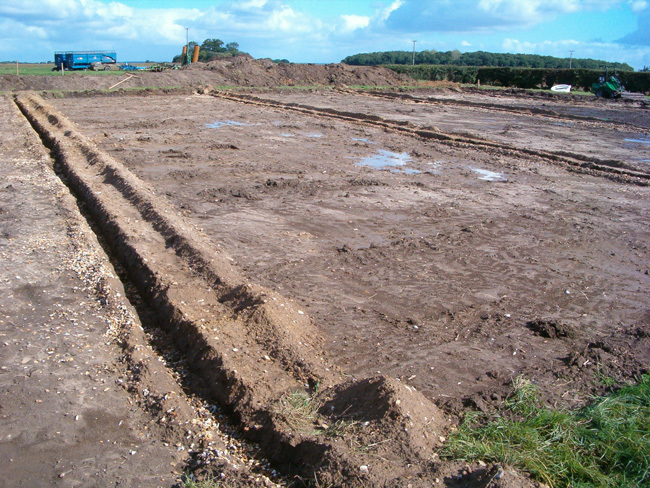 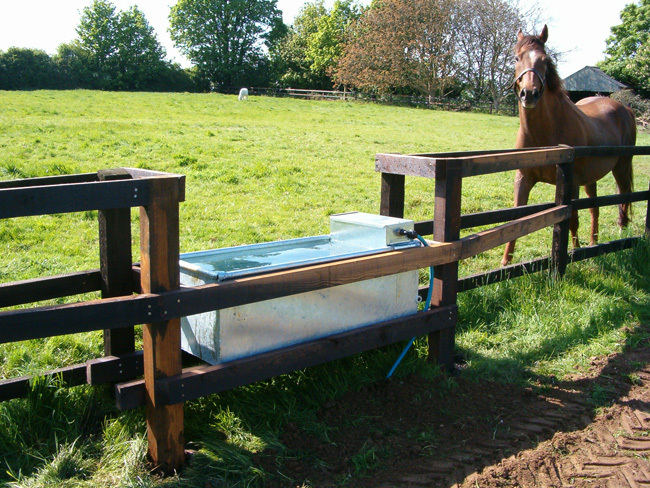 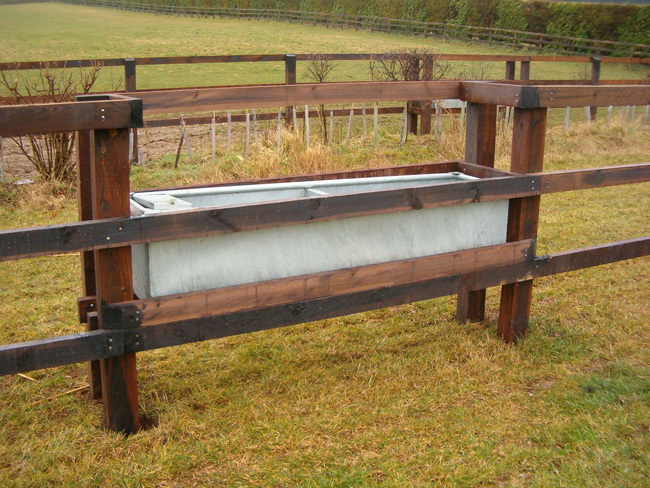 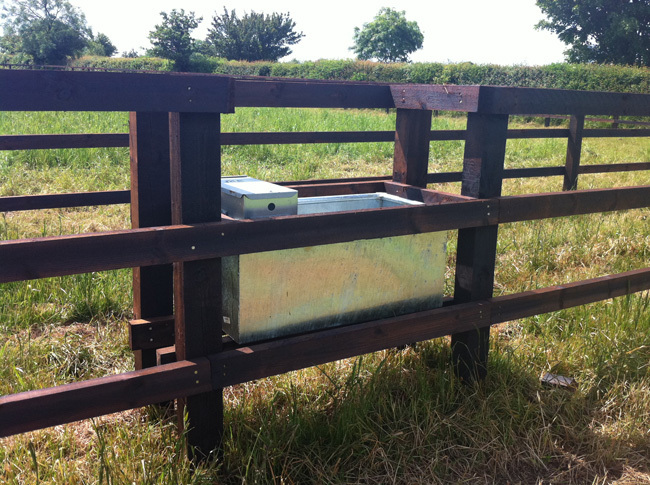 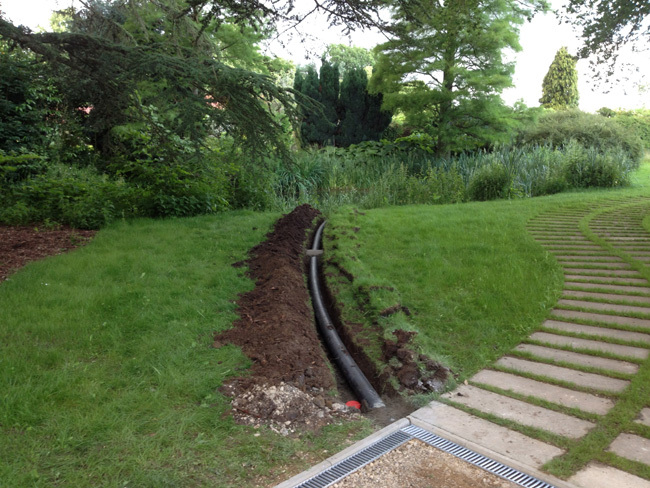 Supplied and installed in 20mm – 25mm diameter MPE sizes. 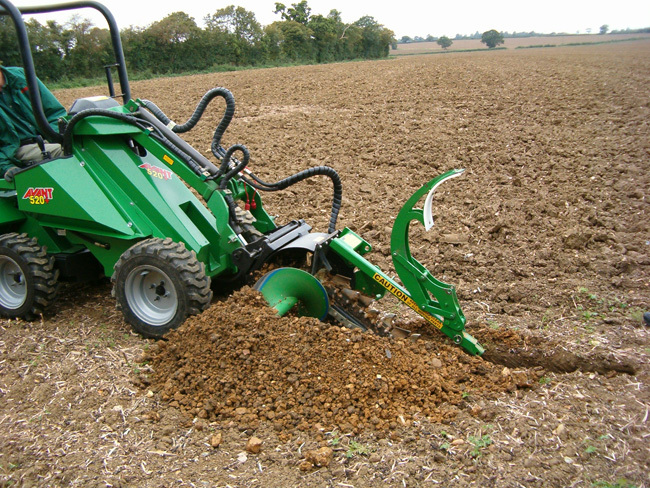 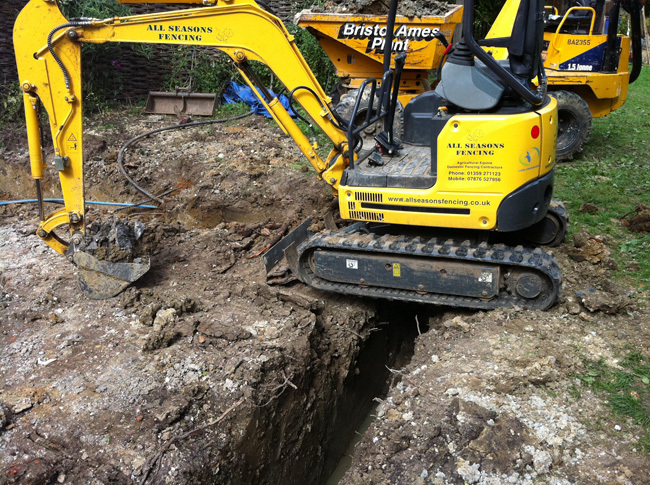 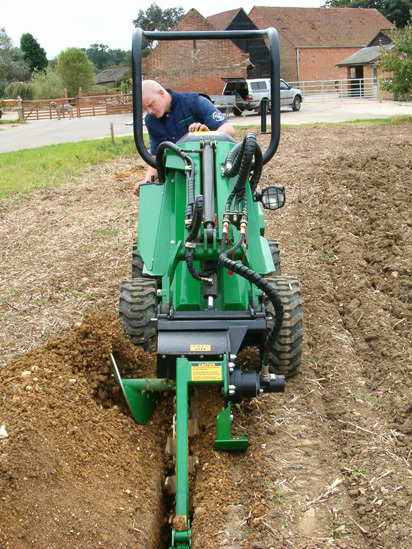 Mechanical trencher can excavate trenches up to 1m deep and 125mm wide, suitable for water pipes and land drains. 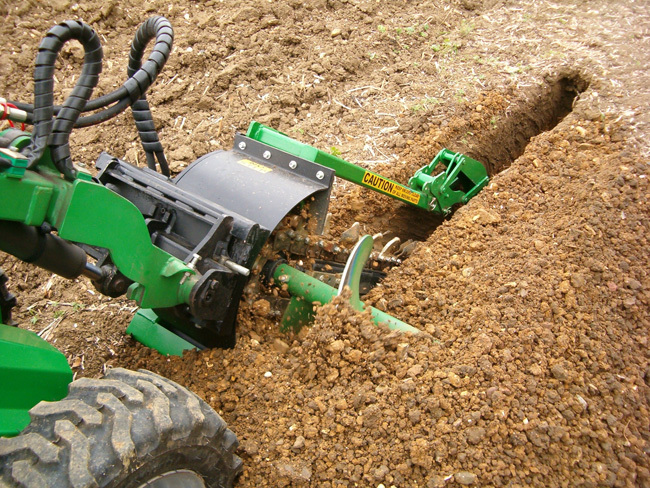 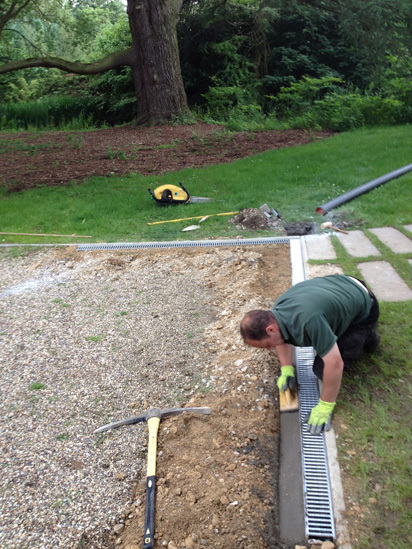 Drains can be installed using a mechanical trencher and can be either French style or perforated P.V.C up to 100mm in diameter.